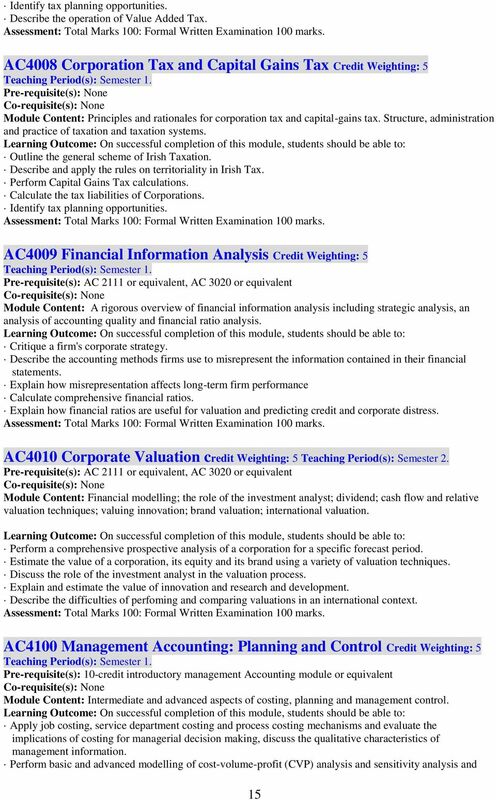 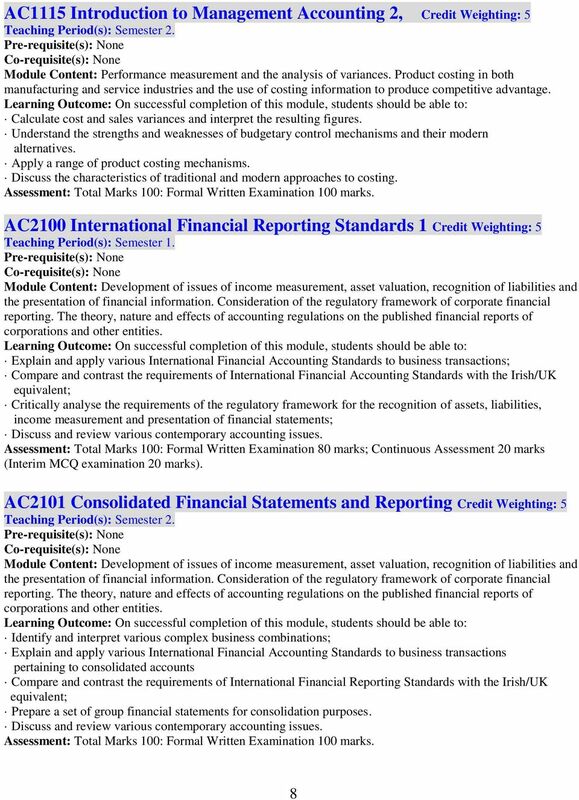 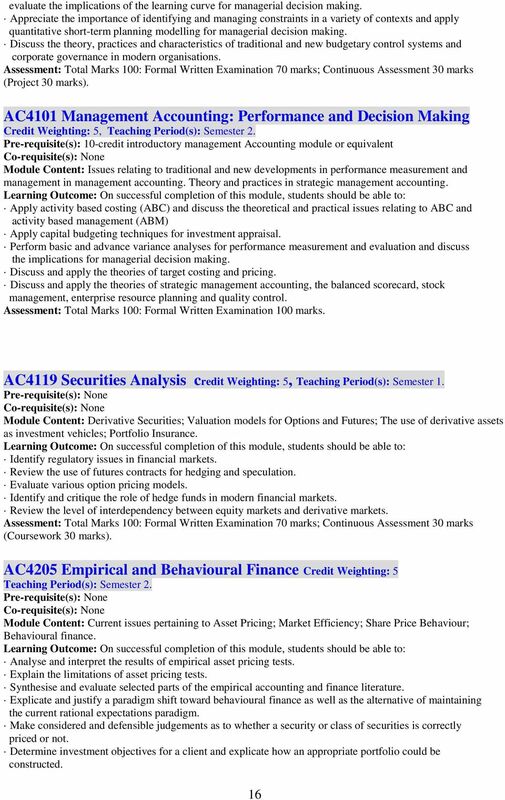 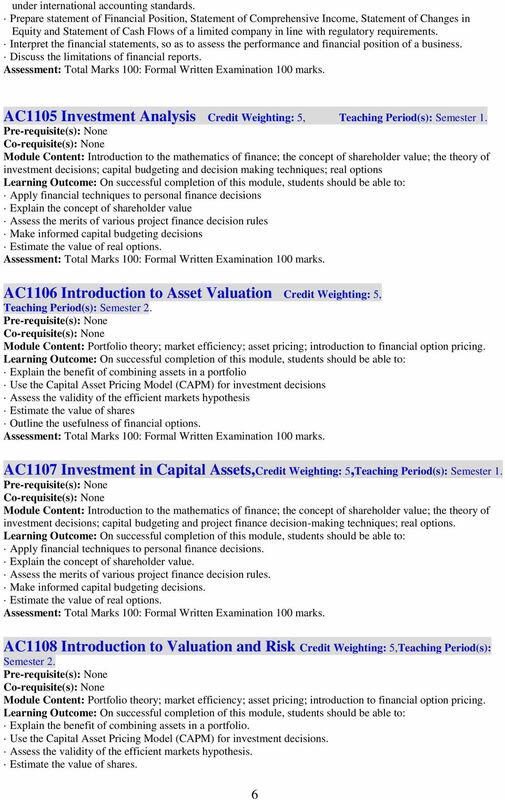 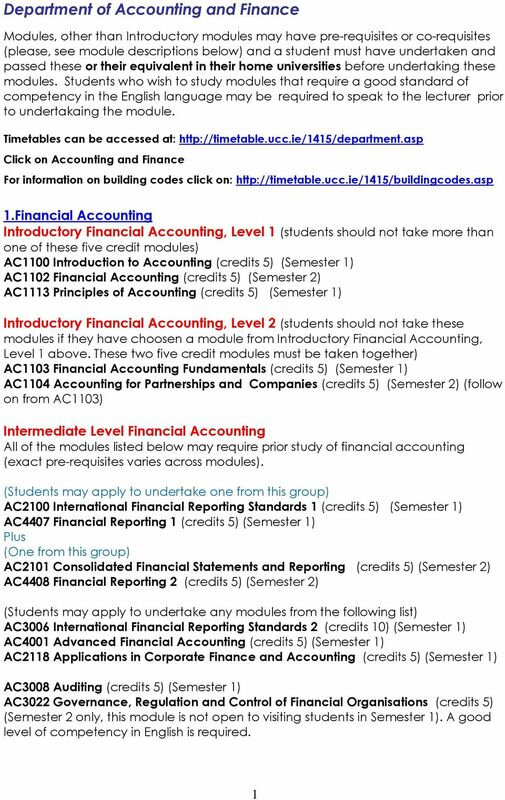 Download "Department of Accounting and Finance"
Below are the module descriptions for all modules currently taught on our BA (Hons) Accounting and Finance course. 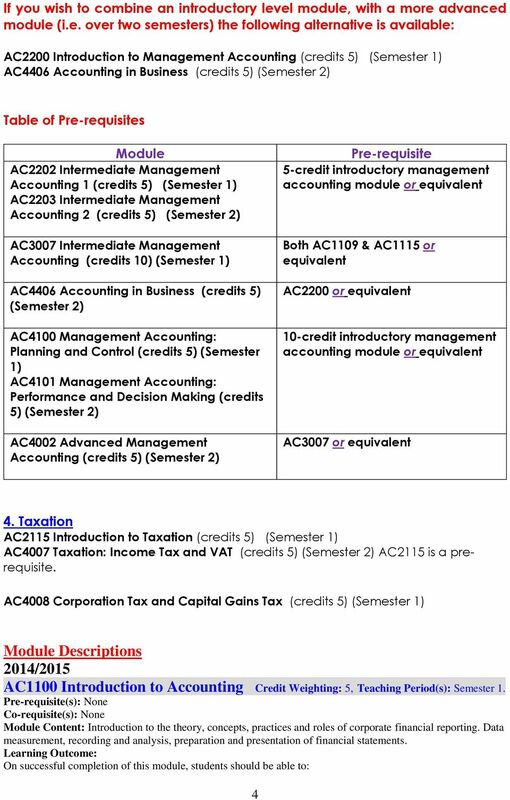 Accounting, M.S. 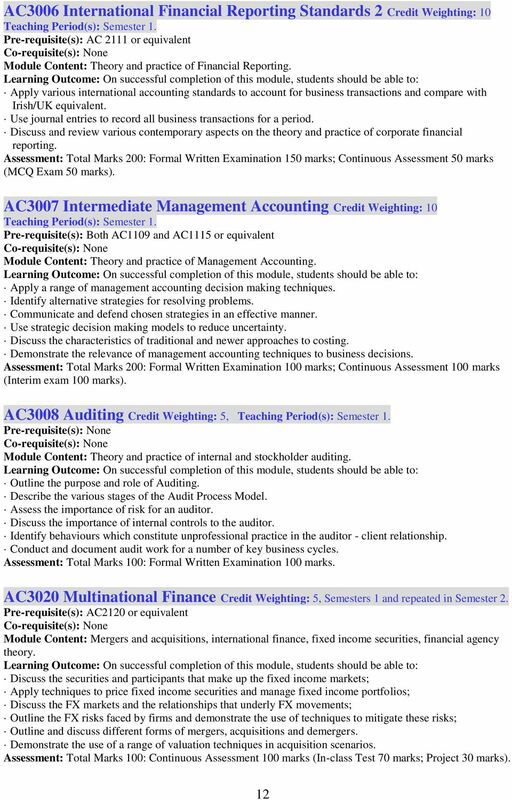 1 Accounting, M.S. 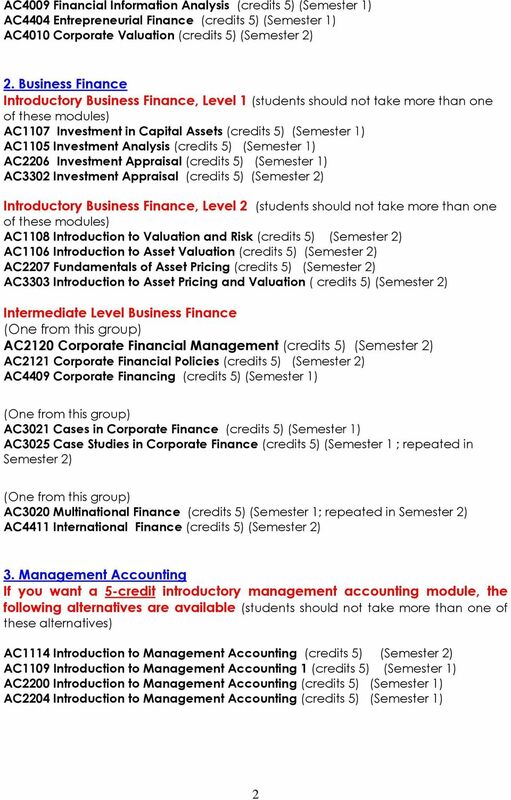 FOX SCHOOL OF BUSINESS AND MANAGEMENT (http://www.fox.temple.edu) About the Program Areas of Specialization: An optional concentration in Corporate Accounting is offered. 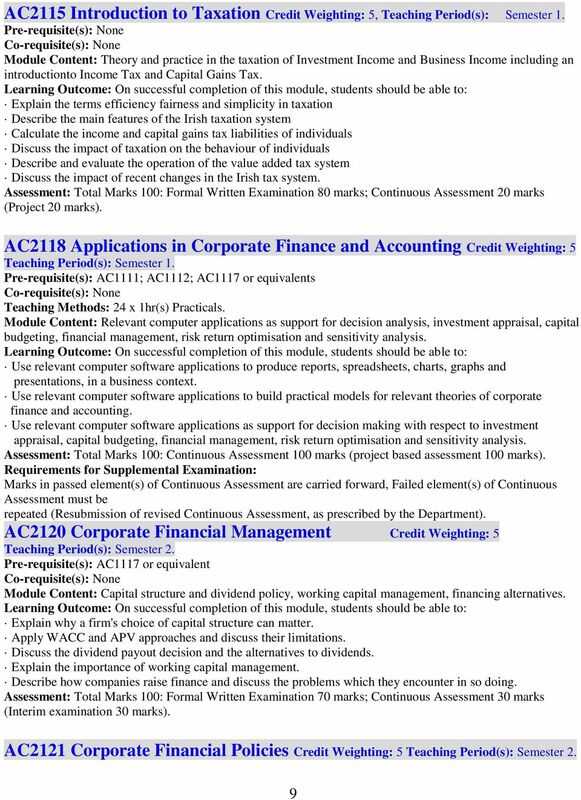 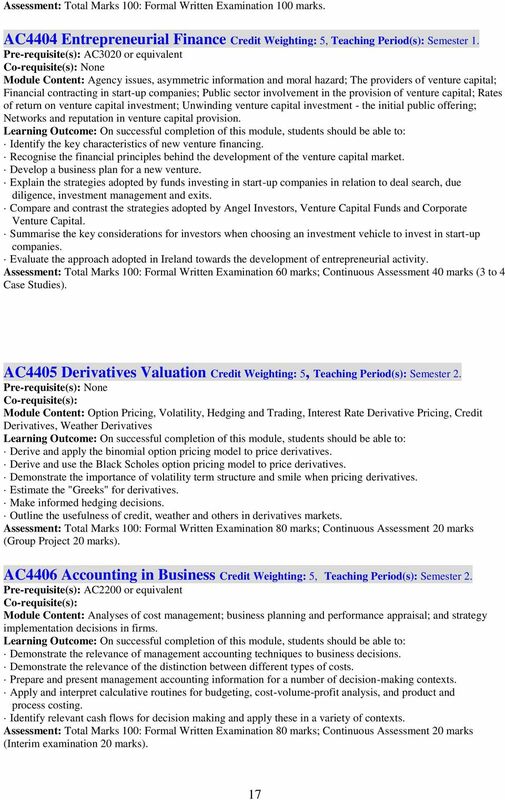 To provide students with a thorough understanding of techniques, theories and issues found in practical corporate finance situations. 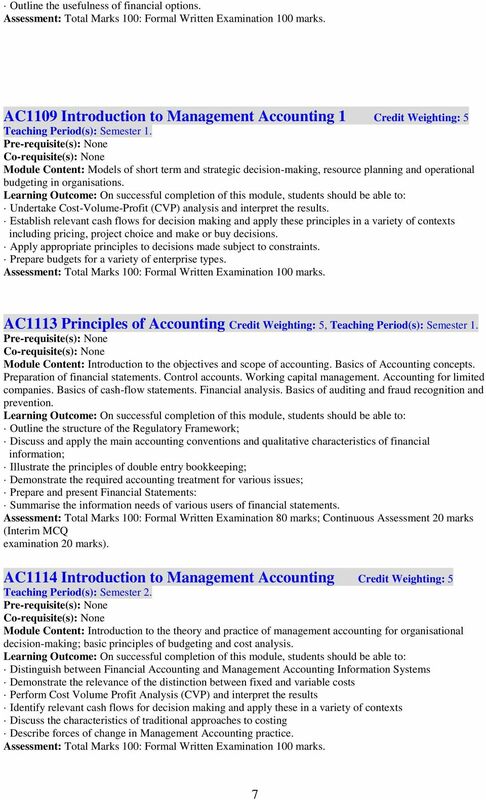 Accounting Technician 1 WORK PROCESS SCHEDULE ACCOUNTING TECHNICIAN O*NET-SOC CODE: 43-3031.00 RAIS CODE: 1125HY DESCRIPTION: Compute, classify, and record numerical data to keep financial records complete. 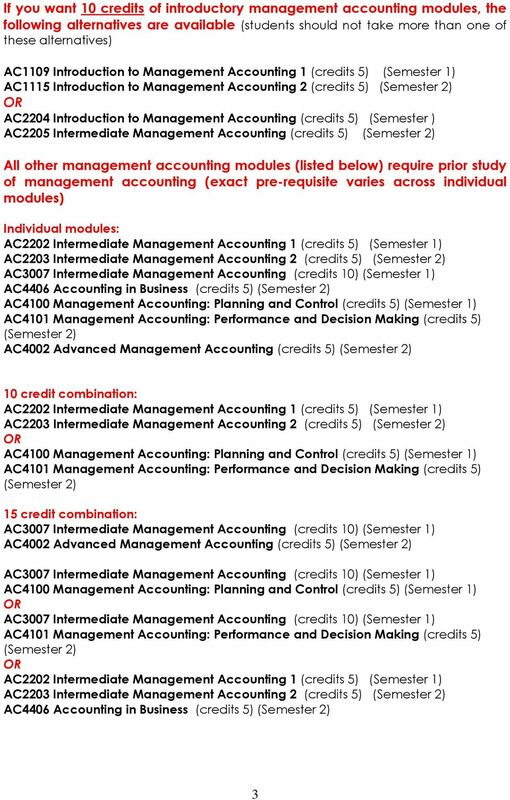 MANAGEMENT. 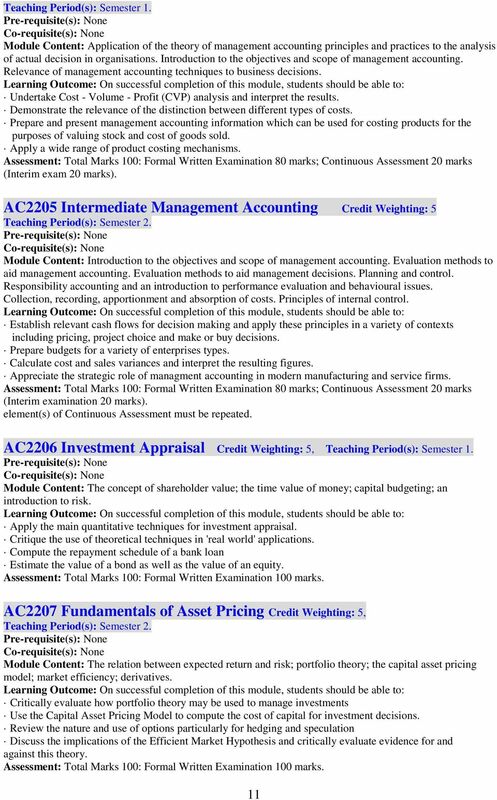 MGMT 0021 THE MANAGEMENT PROCESS 3 cr. 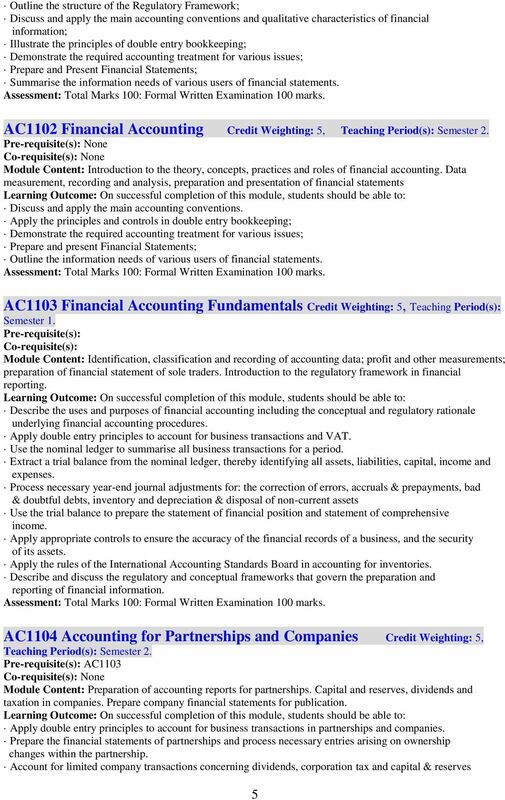 MGMT 0022 FINANCIAL ACCOUNTING 3 cr. 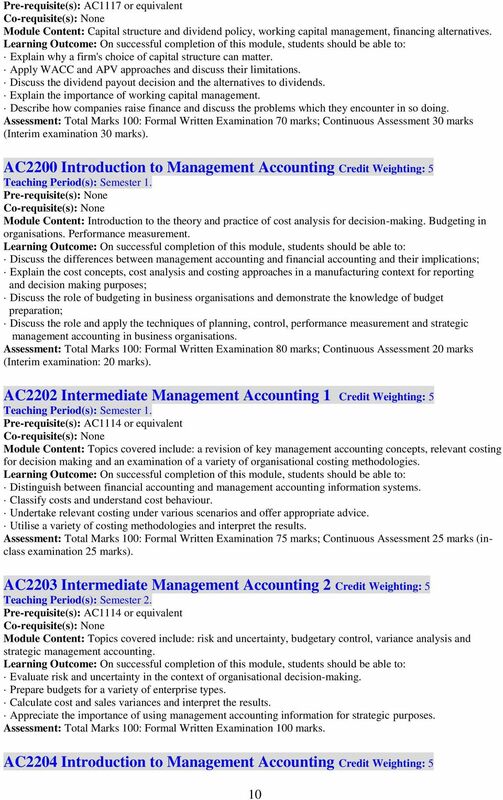 MGMT 0023 MANAGERIAL ACCOUNTING 3 cr. 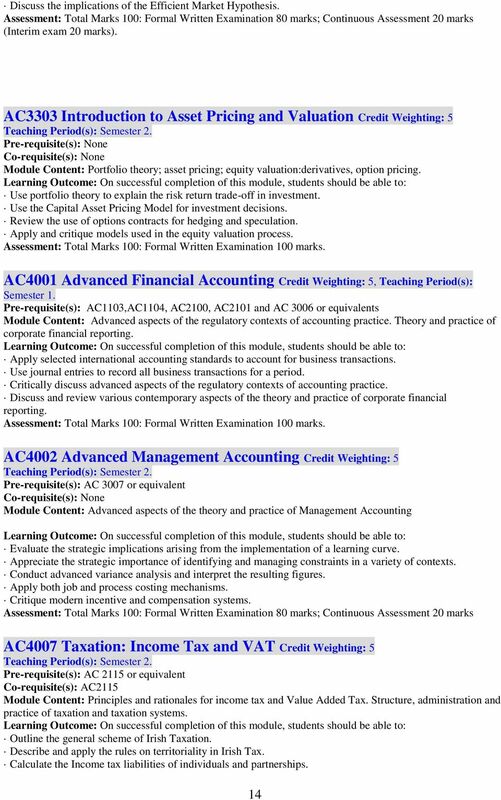 SCOTCAT Credits: 20 SCQF Level 11 Semester: 1. 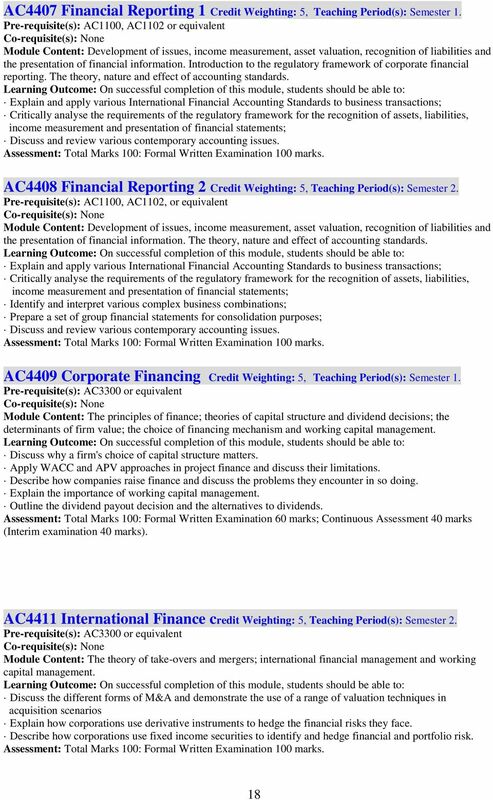 Compulsory for MSc in Finance. 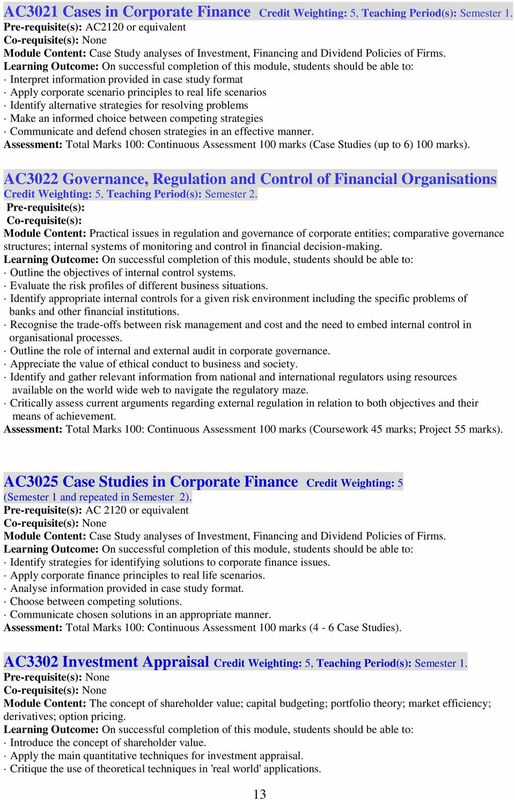 Weekly contact: 1 lecture or 1 seminar.